At Justice Family Dentistry we look forward to knowing you and your children as more than just a family of patients, but as friends too. Come in to tour our comfortable offices and meet our friendly staff. We hope you will consider us the dentist for you and your child. 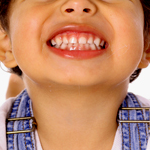 Let your child’s smile start early with us!